Hello! Welcome back to the Hampton Art blog! 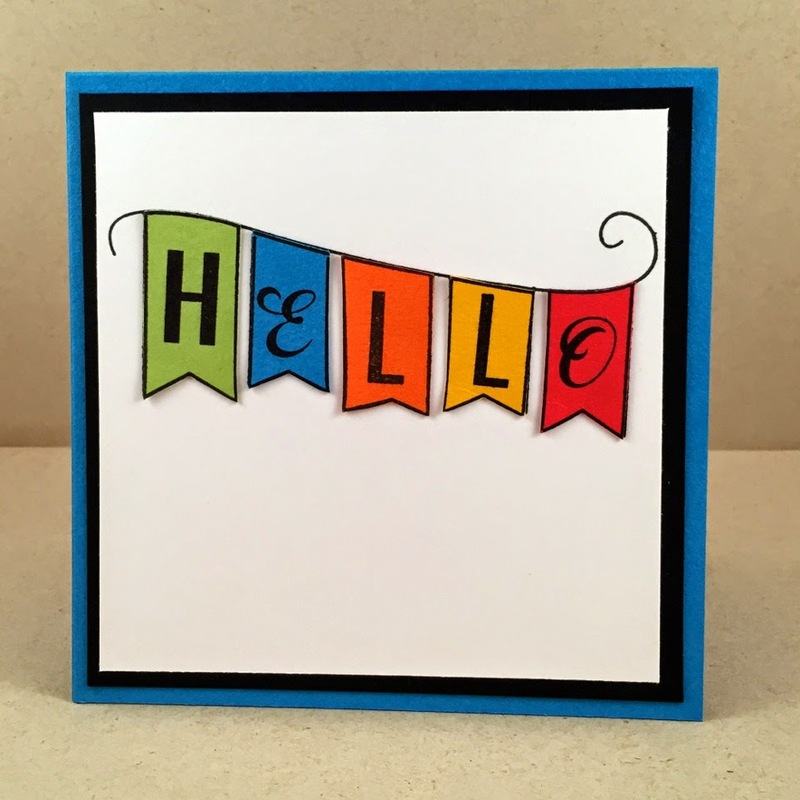 Today’s cards feature multiple stampings of the same image on different colored card stock, and good old paper piecing for a fun and colorful effect. 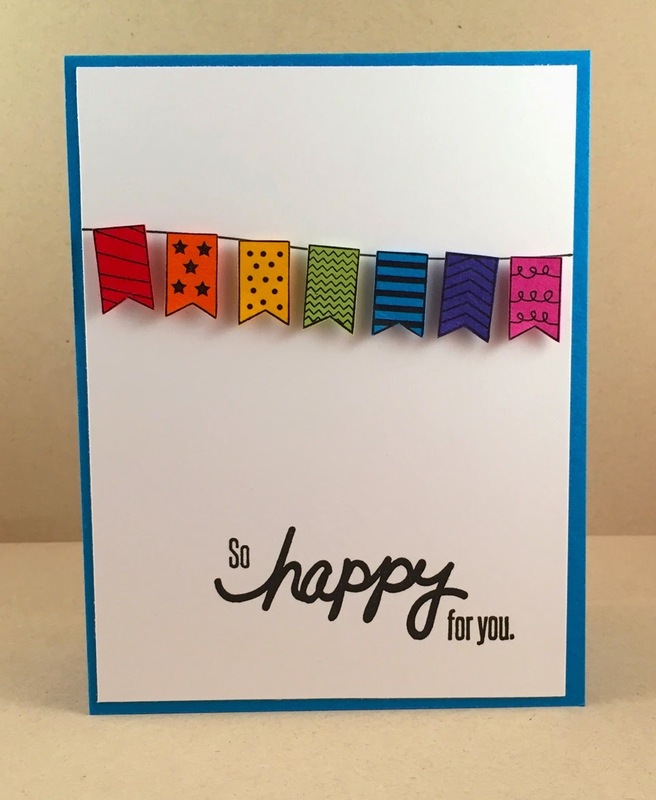 Celebrate Birthday (SC0682) - by Hampton Art and some Jillibean Soup patterned paper! 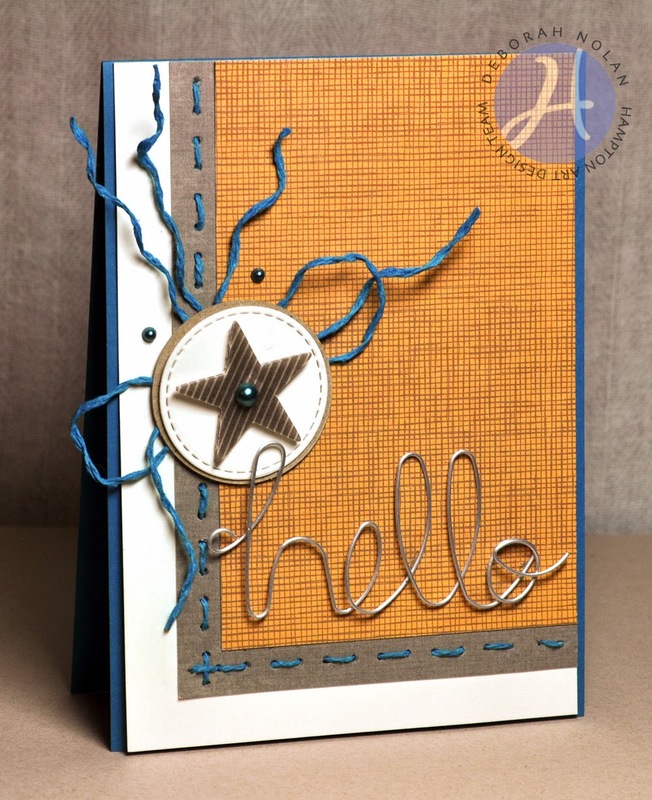 Make card base for a 4.25” x 5.5” card from kraft cardstock. Cut 4” x 5.25” kraft panel, emboss, and adhere to card with dimensional tape. Cut seven .25" to .5" wide strips of patterned paper and adhere to 3.5" x 3.5" square of copier paper. Die cut heart from patterned paper square. 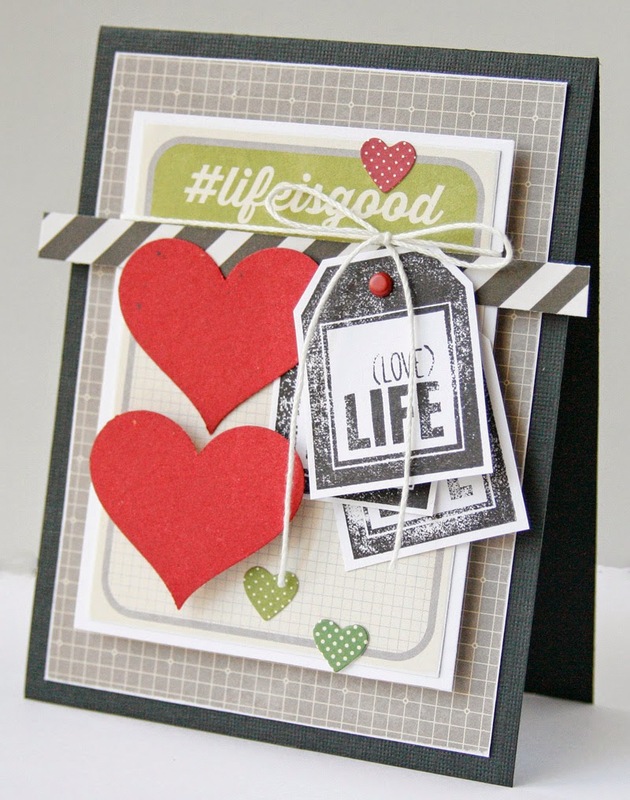 Stamp image and fussy cut banner; line outer edges with matching ink and adhere to heart. Adhere flower, dots and gems to heart. 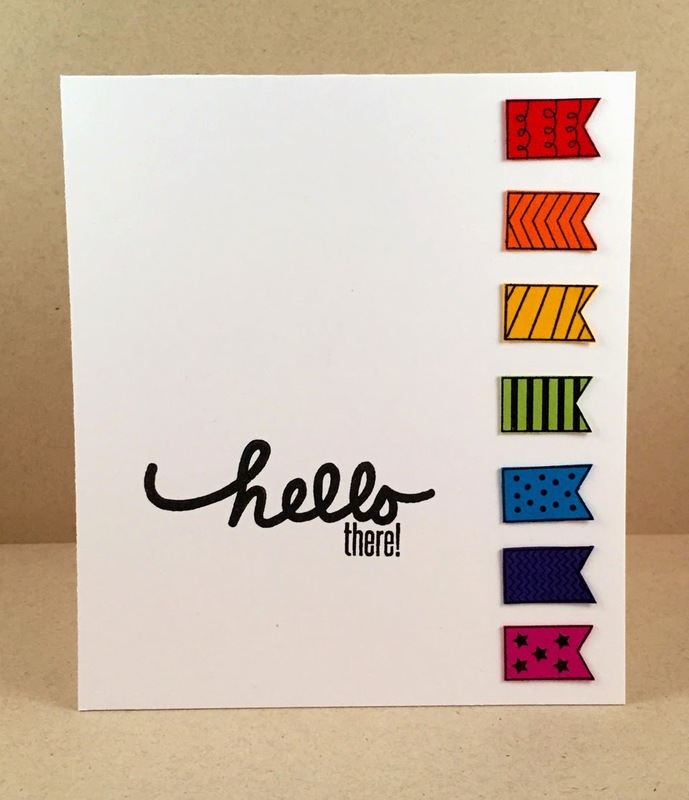 Adhere heart to card with dimensional tape. I like the stamp a lot, but it didn't look right on my striped patterned paper heart, so I decided to use just the banner instead. I stamped the image and cut out the banner - voila! It's like having three stamps in one when you isolate a portion and just use that one on your card! Today's video is of our Mix the Media product line. This line was released over the summer but, was a hot hit of the Winter show where many saw it for the 1st time in person. Check out all the great surfaces that you can create on: Chalkboard, Galvanized Metal, Wood Planks, Burlap, etc! Today we have another video for you that features our Party Playground product from CHA Winter. This collection is full of items that can be used for birthdays, wedding showers, wedding, baby showers and so much more! The non-themed products can be mixed and matched in endless combinations to fit your party needs perfectly! 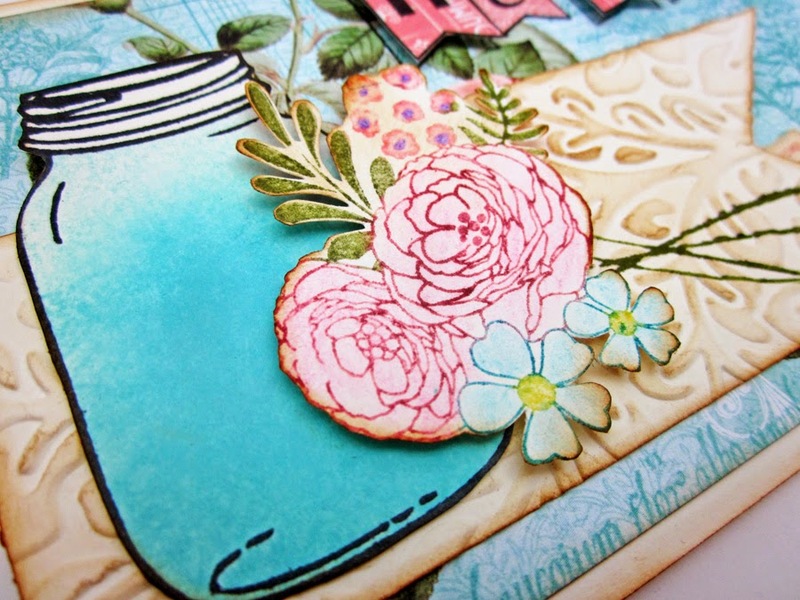 Today we have a beautiful card that uses two of our new stamp sets that were released at CHA. 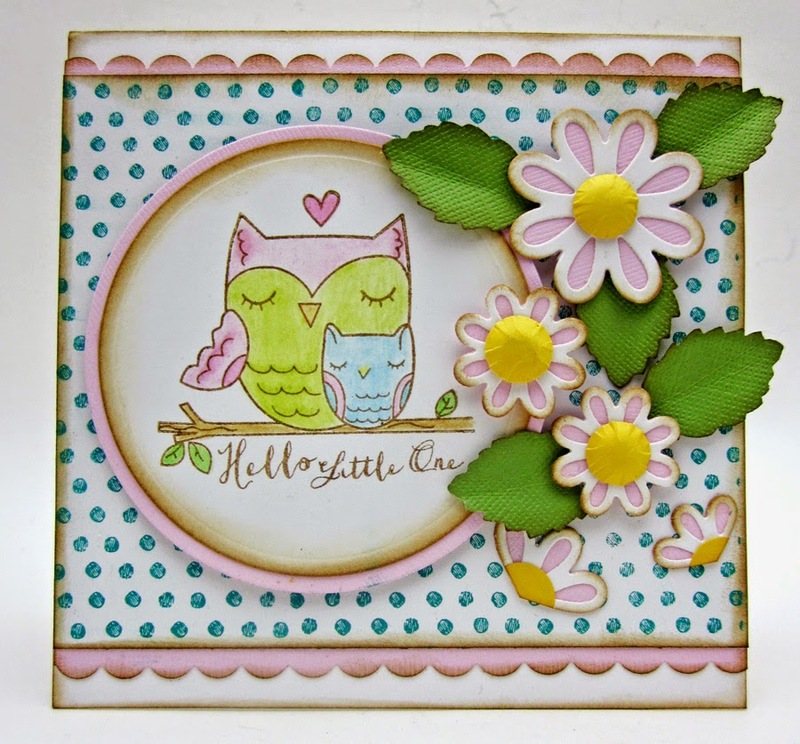 Today we have another great card created for you by designer Gini Williams Cagle featuring one of the new stamps by Hampton Art. Welcome back to the Hampton Art blog! Today’s cards are quick and simple and feature a cute new Hampton Art clear stamp set called “Oh Baby”. It is always a good idea to have a few baby cards on hand, but in a pinch you can whip these up in no time! 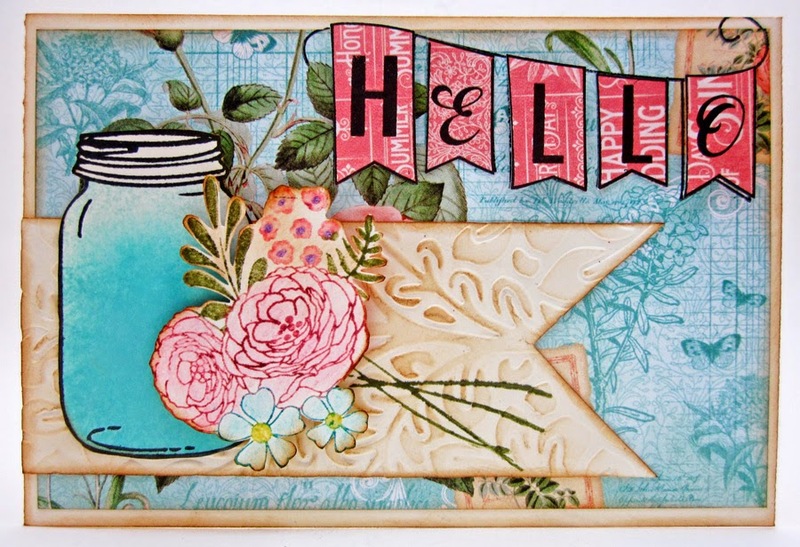 Today's card features a stamp from one of the new clear sets by Hampton Art and some Jillibean Soup goodness! Cut ephemera card to fit and adhere. 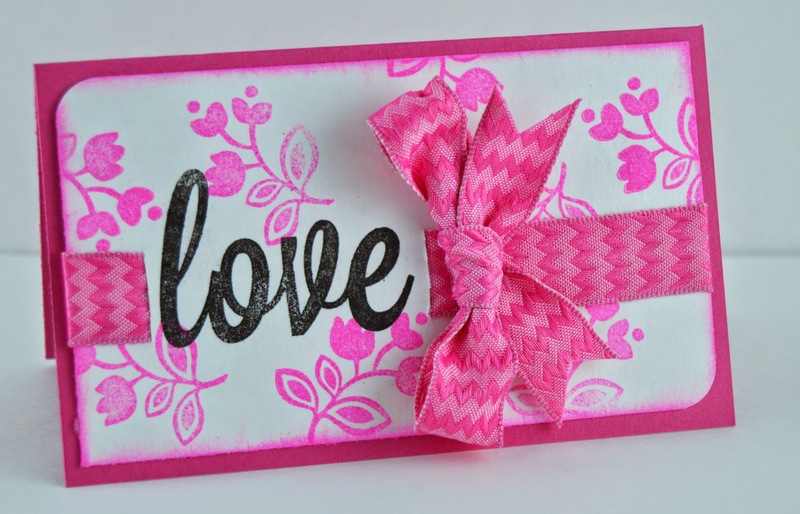 Coat pink patterned paper with Picket Fence, cut to fit, and adhere to card. 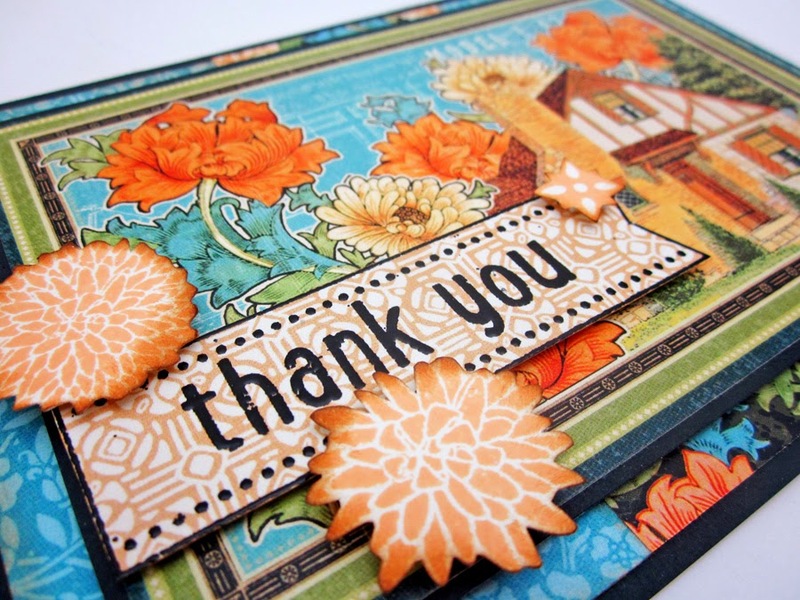 Cut and layer cardstock panels, wrap with ribbbon, and adhere to card. 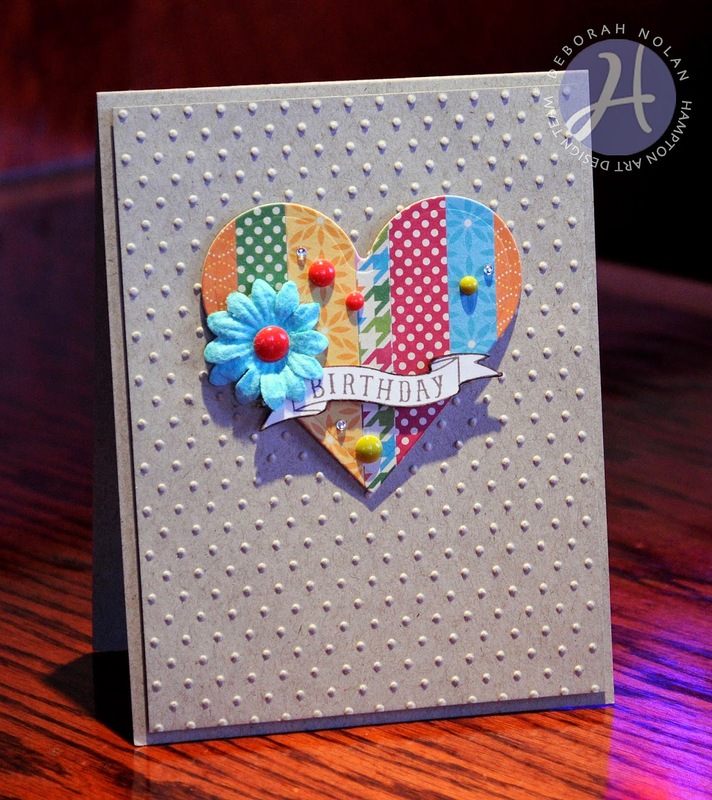 Stamp Happy Birthday badge and die cut. 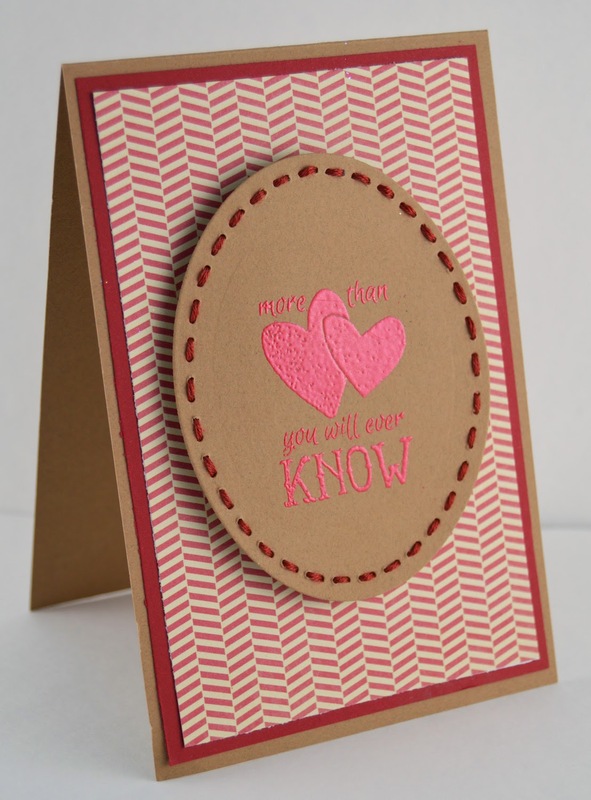 Die cut pinked circle, layer with sentiment badge, and adhere to card with dimensional tape. I love the Jillibean Soup patterned paper, but it was overpowering my stamp. Daubing on a few coats of Picket Fence toned down the paper nicely, allowing me to keep the great pattern but masking it so it didn't compete with the stamped image. I've done this before, and I never fail to be impressed with what a quick and easy solution it is! 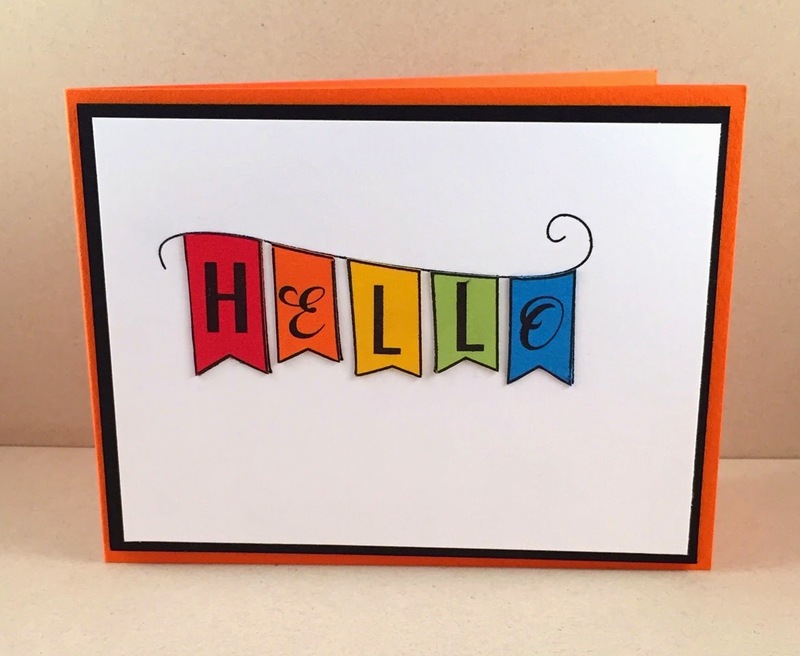 Over the next couple of weeks we will be sharing cards that were created for the Hampton Art booth at CHA -- our annual tradeshow -- Craft and Hobby Association. One thing I have learned when it comes to making cards is that I can never have too many Birthday cards. I still always seem to run out, how about you? Do you have that problem too? Well here is a fun birthday card suitable for male or female featuring a brand new Hampton Art stamp set paired with the ever popular Jillibean Soup- Birthday Bisque Collection. 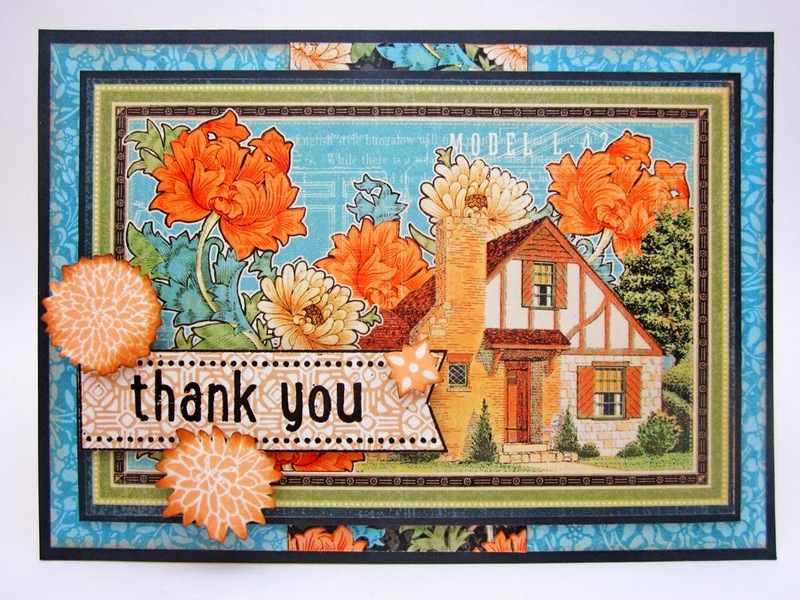 The card base was built with several delicious layers of Birthday Bisque papers. The stamping was onto the bite size bits paper in black ink, then fussy cut out. Next I layered the stamped images onto the card as shown. Last I added the green star cupcake topper with a favorite banner sticker and then added a silver gemstone to the camera. My favorite part of this card is the ability to personalize the date to the recipients’ actual birthdate. How fun is that? Someone very special blessed my life on that wonderful day in February. A current trend I can’t get enough of is the watercolor trend. 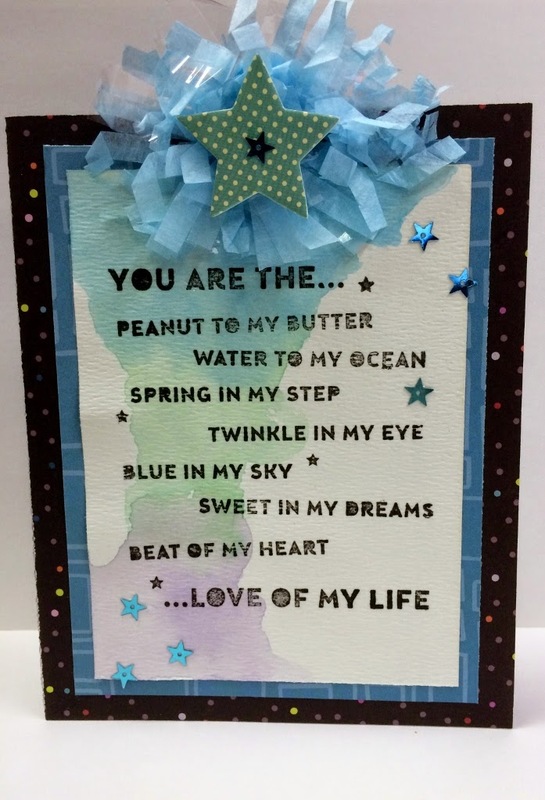 I utilized watercolors for this card paired up with the very sweet long sentiment stamp, Love of my Life- brand new from Hampton Art. The papers are from the KI Memories Playlist collection and the teal matched up with the black really made the watercolor mat pop. 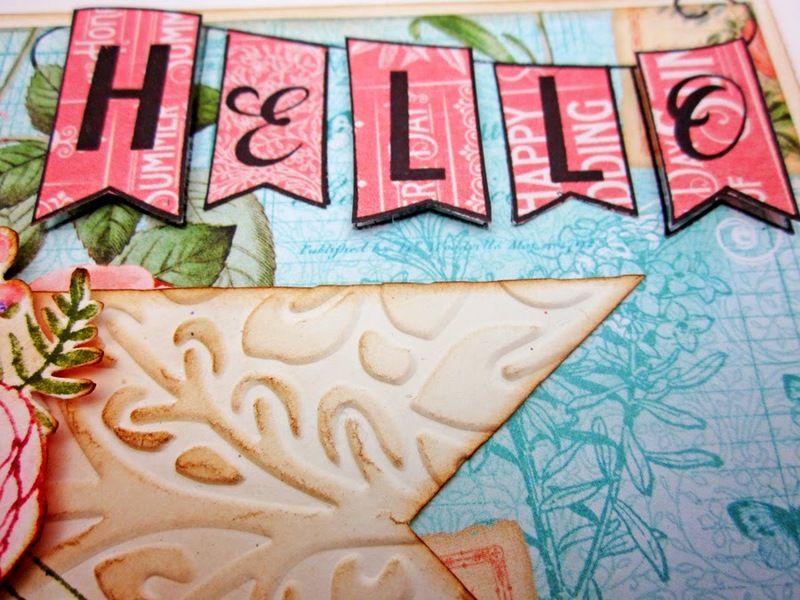 To create the card I grabbed a simple watercolor paint set and made a wash of three colors running them together. I chose blue, green and purple to create a boy theme card but any colors would work. Then I set aside painted mat to dry completely. Next I stamped the sentiment in black ink on top of watercolor wash. Then I matted onto the teal paper and attached to the card front. All that was left was some fun party embellishments: Rock Candy Blue Fringe Garland & Star Cupcake Topper for the top and some new star sequins all from Jillibean Soup. That was it, super simple and a nice effect I think. Happy New Year to all of you, may your craft rooms be bright and busy! This week we are headed to our annual trade show, CHA. This is where we show all of our new products and start taking orders from retailers. While they are checking out all our new products, we offer make-n-takes so the retailer has a few finished samples to take back to their stores. In the CHA booth this week, we will be creating a wood plank frame with with stencils and paints from Jillibean Soup's Mix the Media line. Here's a sample of what you can create at the Make-n-Take. The designer added a mirror in the center of the wood plank frame, you can put a photo in it's place if you desire. Please stop by and see us at Booth #831. Hello and thank you for returning to see what's up on the Hampton Art blog today! 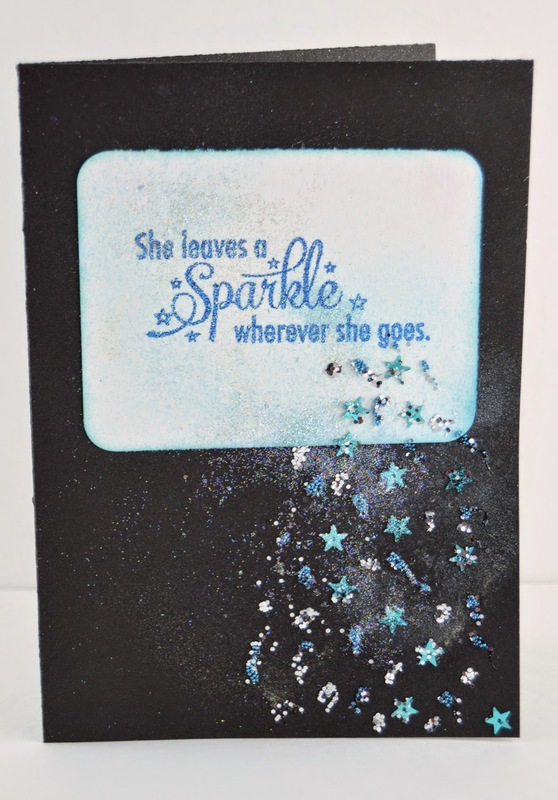 Make card base for a 4” x 5.5” card from dark teal cardstock. Cut 4" x 6" panel of copy paper. Cut to fit, layer, and adhere cream mat (3 7/8" x 5.5"), patterned paper panel (3.5" x 5"), and ephemera card (3" x 4.75") to one another, aligning in upper right corner. Punch stitching holes into panel with awl. Unravel cord by removing 2 of the 6 threads and stitch panel; secure ends on back with washi tape. Adhere panel to center of card front. Tie cord into bow and cut three additional pieces; adhere all with glue dots. 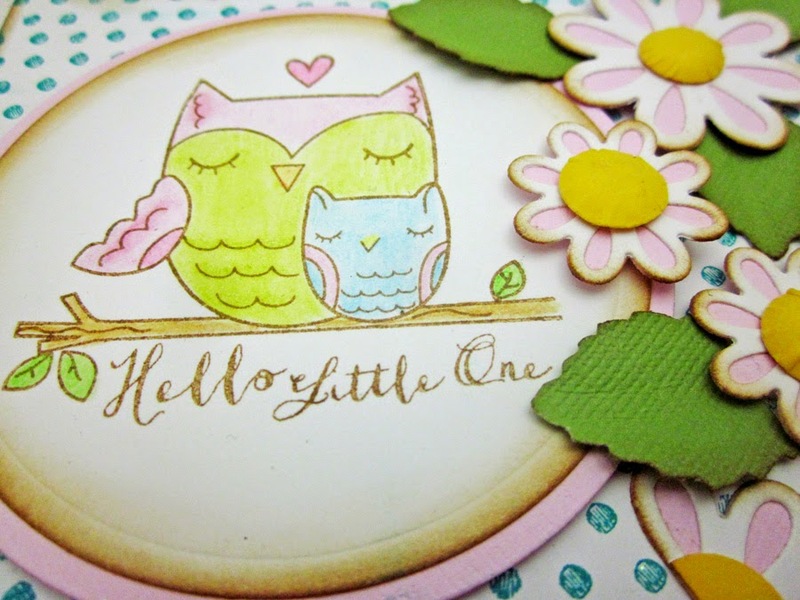 Die cut circle from cream cardstock, adhere to kraft tag and adhere tag to card with foam dimensional squares. Remove pearl from vellum star; replace with teal pearl; adhere small pearls to card and star to tag. Cut glue dot into thin slivers and stick to back of wire word, stretching each sliver along the back of letters for maximum coverage; attach to card.